Are you searching for the perfect part for your car, crossover, SUV or van? Fortunately, the friendly staff at the Harvest Honda parts department in Yakima, near Ellensburg can help. We have a huge supply of auto parts on hand and are able to help you decide on the ideal one for your need and budget. Our Yakima Honda auto parts department is one of the best, so it doesn’t matter if you need engine parts or brake pads or if you would just like to add some comfort features to the interior of your vehicle. 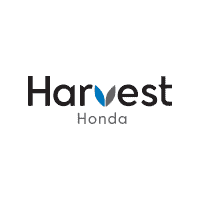 No matter what your requirement is, you will find that the best place to be is Harvest Honda’s auto parts department in Yakima. Sunnyside customers, if you would like to have a licensed and professional mechanic finish the work, make sure you set up a service appointment or contact us at (509) 575-1090. We look forward to being of service to you soon at our Honda auto parts department in Yakima, close to Moses Lake.